My Pannotia White IPA has been on tap for about two weeks; it seems like a great time to evaluate the beer and reconfigure it for its next iteration (and there will be another iteration!). Hazy, light golden hue; head is tall and persistent, with a creamy appearance and off-white color. The beer has gotten slightly less hazy since the first tastes a week or two ago. Hop-dominated; very citrusy and slightly floral. Any maltiness is subtle at best. There is an extended, smooth, and slightly sweet finish for the hops. Absolutely! 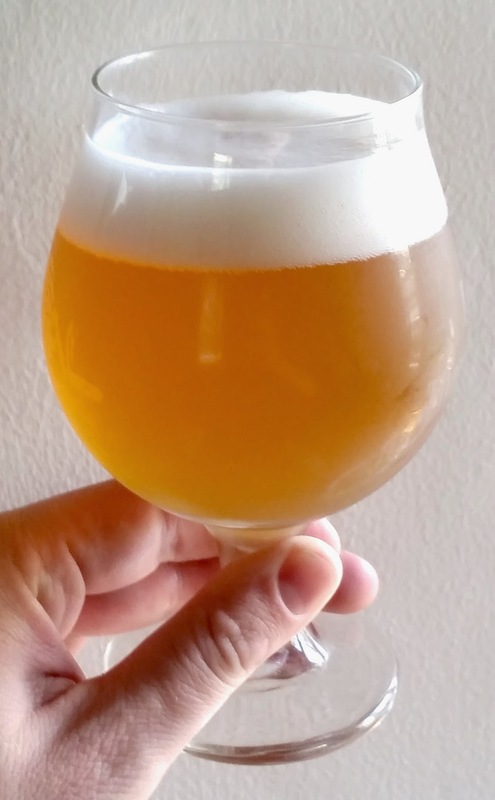 The white IPA style is a delightful and very drinkable variant change from the overbearing single/double/triple/quadruple American IPAs that are the norm for many microbreweries. My original goal was to recapture my memories of the Italian-made Vergött White IPA. I got partway there–particularly in its appearance and refreshing drinkability–but am lacking the somewhat lemony aroma and flavor that I recall from the original. Some more sleuthing on Italian-language websites revealed indications that they dry-hopped with Galaxy hops (and possibly some Mosaic), that the alcohol clocks in at 5.5% (rather than 5.9%), and that oats are part of the mix too. I would also like a little more body in my beer. So, I think for the next iteration I will use 2-row malt instead of pilsner malt, mash at a slightly higher temperature (perhaps ~152°), add some oats, notch the alcohol down a touch, and dry-hop with Galaxy instead of Citra. I will likely maintain the first wort hopping with American hops (probably Cascade), because the background hopping on this one is about perfect. This entry was posted in IPA, white IPA and tagged Pannotia White IPA, PWIPA. Bookmark the permalink.